When tournament anglers bring fish to the scales two things happen. Some fishing areas are heavily fished, resulting in depletion and fish are stockpiled at launch areas. While many anglers believe an area might be over-fished, data for the Potomac River has not been conclusive as the bottom line is the total fish population and age class representation. There’ve been recently noted discrepancies between MD, VA and DC biologists but the consensus among anglers is the River is fishing well. Tournament results back this up. It’s estimated tournament anglers disperse only 5% of the entire fish population, diluting the depletion issue. Stockpiling can potentially occur on the Potomac as a result of regular tournament releases at two major sites: Maryland’s Smallwood State Park and across the river at Leesylvania State Park. Fish may take a month to leave, if they leave at all. Whether fish return to their home tributaries has been a focus of research for many years. If fish do not return to their place of capture, those populations may become locally depleted after repetitive fishing events. So why the concern about stockpiling? A few Black Bass Advisory Subcommittee members are concerned with fish being brought to an area that can’t support the increased population or that released fish became prey to other tournament anglers and meat hunters. Largemouth bass generally remained at high density levels in release sites for at least 1 week with little less than half returning to their area of capture. If fish are released in good shape, only short term stockpiling occurs. Few make it back if dispersed more than 6 miles. Noted fisheries biologist Gene Gilliland says stockpiling may or may not lead to increased mortality or to displacement, depending on habitat or angling conditions at the release site, and tournament size. Potomac River telemetry studies from approximately 20 – 30 years ago indicated that some fish will leave release areas, but about half may remain for a month or longer. A dozen studies have shown that bass travel an average of one mile from the release site within 40 days. After 3 months to 2.5 years, the dispersal was 2.2 miles, but half were still within one mile of the release site. In any case, this adds some credence to the issues of stockpiling and depletion. Looking at Smallwood, released fish can spread out a bit more to fish friendly grassy areas. Yet bank anglers pick off a few for the fryer. 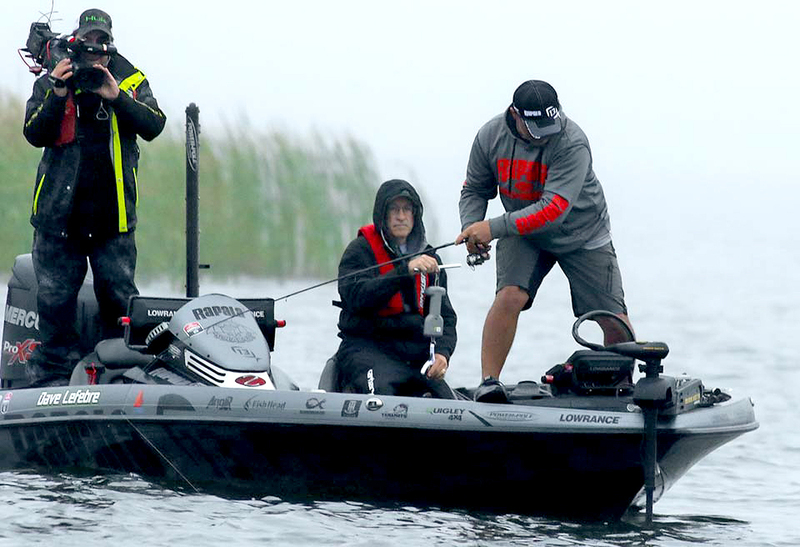 Many anglers, including pros like Bass Cat/Yamaha pro Mike Iaconelli, target released fish. Ike calls it his ABC pattern…Already Been Caught. It’s not so easy as most events make the immediate marina area off limits. Pros like Ike target the first available spot fish use to spread out. But anglers not launching out of that marina will target more recently released fish, taking an already stressed fish for another tournament ride. Anecdotally, this could lead to higher delayed mortality. Leesylvania presents a different issue. Likely similar numbers of fish are released, however it is a much more confined area. Not much grass, and churned, muddy marina water doesn’t provide the best environment. Fish eventually find the bulkhead and are plucked by bank anglers. Many find temporary solstice on the rock jetties, but become targets for tournament anglers, only to become repeat released fish. considered “prime” locations. These sites should be away from boat traffic, over firm substrate, those with relatively cool water, and those in or near deep water. Ideally, in order to maintain local populations of black bass in tributaries of the Potomac River, once captured and weighed, fish should be returned either to their home area, or at least within 20 miles of their original area of capture. BBAS solutions include release boats with large on-board livewells allowing the dispersed release of fish to predetermined release sites. Another would encourage anglers to take their fish in their boats and release elsewhere, including designated locations. Chutes that allow fish to be released further from the weigh in site work well in some areas. Tournament organizers would be encouraged to use multiple weigh-in areas to reduce the number of fish released at the main sites. Creating off limits areas at weigh in sites for both major launch sites would also allow stressed fish to recover. As of yet, there are no regulations regarding tournament releases, only suggestions. Bottom line, the biggest fish in the Potomac are being released in these marinas. To lose these fish, regardless of the current condition of the bass population, could eventually take a toll. Right now it’s up to anglers to address fish dispersal. Start on top and work down. Mann’s Super Frogs on 60 pound GAMMA Torque braid with a 7 foot Quantum 7’4” G-Force rod for long casts and hook set power! Mann’s Baby 1-Minus on 14-pound Edge fluorocarbon line bounces off hard cover and snaps free from grass. Vary retrieves to get bites. Under cloudy skies and stained water, try Mann’s Classic spinnerbait, also on 14-pound Edge. Pitch Mizmo Tubes to grass clumps. Polarized Maui Jim sunglasses help locate grass. Use 3/0 Mustad Ultra Point tube hooks and 3/16-ounce bullet weights. 16-pound Edge would be a good idea. Use a faster Quantum Smoke casting reel with a 7’ MH G-Force rod. Soaking in garlic Jack’s Juice Bait Spray will help! Swim Mann’s Stone Jigs through grass slowly on 14-pound Edge fluorocarbon line.